A group of Sykesville residents are pushing to have the town's recently approved speed forced to a popular vote. A new town ordinance approved the use of speed cameras in the town and also converted almost the entire town into a gigantic school zone solely and expressed for the purpose of using of speed cameras, despite a statement by the SHA making it clear that this practice is NOT appropriate. The streets designated for speed camera use were never considered or marked as school zones previously, and at least one of the roads which will become a 'school zone' only barely comes within 1/2 mile of a facility which the town never previously considered to be a 'school'. The final version of the ordinance designates all roads within a 1/2 mile radius of the three facilities as school zones, and sets the speed limits in all school zones at 25mph, including portions of Springfield Ave/Main Street/ West Friendship Road where the speed limit is currently 30mph -- lowering the speed by 5mph and turning currently safe legal drivers into "lawbreakers". Read the full text of the ordinance HERE . The Sykesville town council voted 5-1 to approve the measure : Mayor Mike Miller and council members Leslie Reed, Frank Robert Jr., Ian Shaw and Chris True voted in favor of stripping citizens of their legal rights and subjecting them to mass surveillance for money, while Councilman Leo Keenan voted against. Under state law the town is permitted to use camera revenue to increase its total budget by up to 10%, which after expenses would require sending out approximately 12,000 citations per year or about 3 tickets per resident. The town held two hearings regarding the cameras. At the first several residents spoke out against the cameras, but the second was rescheduled to February 22 due to snow with some town residents who had planned to speak against the cameras being unaware of the new date, and the council voted for the measure at the end of the rescheduled meeting while one council member (who went on the record as being against the ordinance) was absent. The town council's actions so enrages one resident so much that he has started a petition drive to force the ordinance to a referendum. However the requirements of this effort are extremely stringent: collect signatures from 15% of the town's registered voters (338 signatures) within 20 days of the measure -- and the organizers lost 9 days before they could learn the petition requirements to even get started. Nevertheless the effort is off to a good start, with the petitioners collecting 20-25% of the necessary signatures in the first weekend. The group's organizer, Chris Martin, stated that on one day he got 85 signatures while meeting only 5 people who supported the cameras. 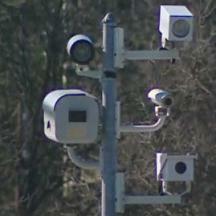 NO SPEED CAMERA PROGRAM IN THE US HAS EVER SURVIVED BEING PUT TO A REFERENDUM. However due to the ridiculous timeline the effort to get it on the ballot needs help!!! Anyone who wants to sign the petition or who is in a position to help collect signatures should please contact Chris Martin by email or by phone at (240)328-7634.